Jeff Howard has released a great new ‘wee’ project. 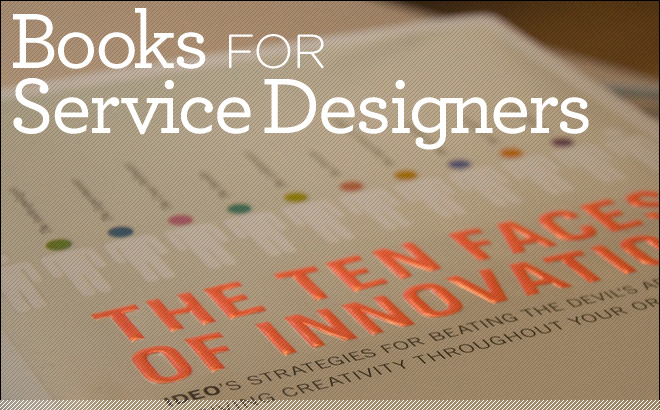 I received an email from him a while back asking for some book titles that sit on the Snook shelf which perhaps are not directly related to service design but are of interest. There had been some lists floating around the internet in the last 12 months but Jeff’s list make’s it rather easy to navigate. It was a difficult question because I gather influences from a huge variety of sources but I’ve popped a couple on like Co-design, Simplicity and the Design of Business, and will probably be adding a few more titles soon. Take a look, it’s looking like a good collection.